The Lucky Country. That’s Australia. We embrace difference. Celebrate diversity. Stand up for what we believe in. Be ourselves. Show compassion for those in need. The following picture books, as chosen for the 2014 Speech Pathology Australia Books of the Year shortlist, all share common themes; diversity, friendship and uniqueness. 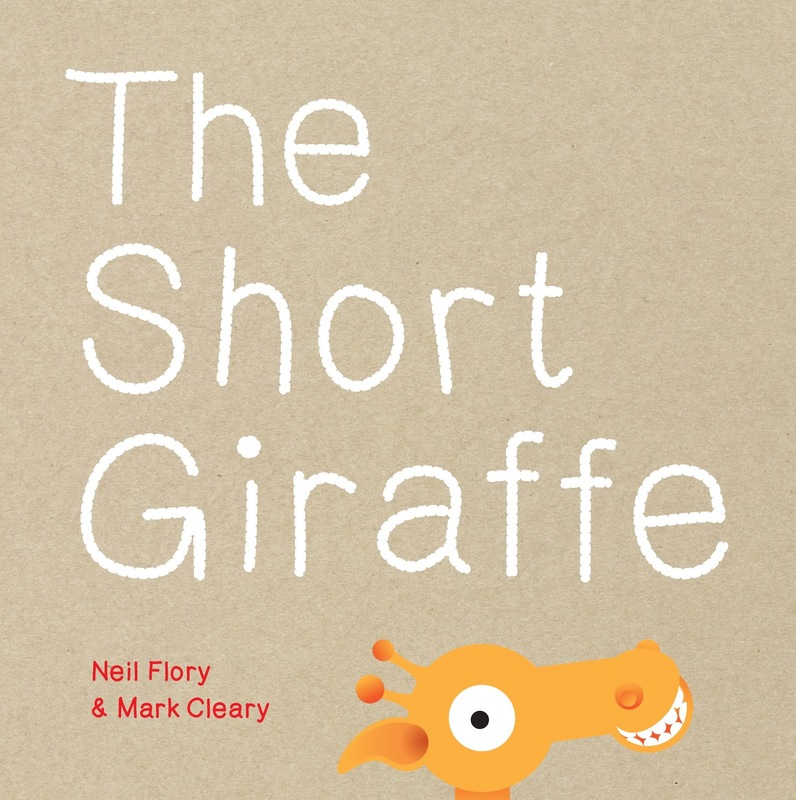 The Short Giraffe by Neil Flory, illustrations by Mark Cleary, is a fun, humorous story that highlights the importance of inclusion, especially when one feels like an outcast. Boba the baboon is photographing the tallest animals in the world; the giraffes. 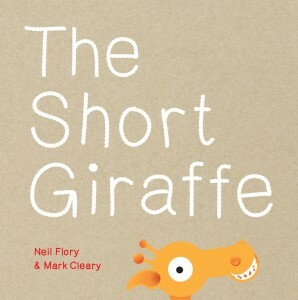 But there is a tiny problem, Geri the giraffe is the shortest giraffe ever and is not visible in the camera shot. Instead of excluding Geri, the compassionate, accepting giraffes attempt various creative ways to bring him up to their height, all however leading to disastrous, yet comical circumstances. Finally, it is a tiny caterpillar that points out the most obvious solution; to bend down to Geri’s level, and they capture the perfect photo. 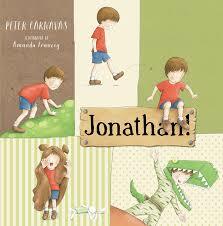 Speaking of being ‘daring’, it’s Jonathan!, written by Peter Carnavas and illustrated by Amanda Francey. 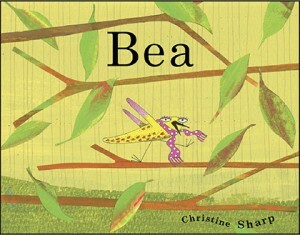 Engaging rhythm and action in the text, and pictures to reflect the same. 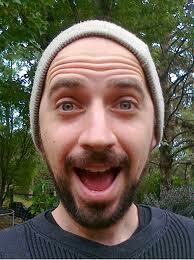 Jonathan! is a cute story of a boy who certainly isn’t ‘afraid’ to be his cheeky self, but in a way that he has fun changing his persona with different costumes. As he consistently attempts to scare his family members with frightening voices and ingenious outfits, his efforts prove superfluous. Jonathan unexpectedly meets and befriends a large, teeth-gnashing dinosaur who helps him triumph with his pursuit. 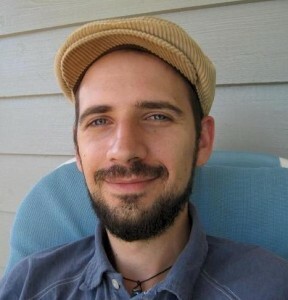 That is, until, in a twist of fate, we are surprised by both the dinosaur’s identity and Jonathan’s reaction. In Starting School by Jane Godwin and illustrations by Anna Walker, we meet more excited children who are keen to have fun and discover new things. 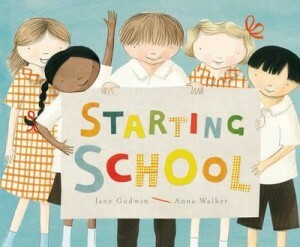 Tim, Hannah, Sunita, Joe and Polly are starting their first day of school. In a gentle, informative story we learn about each child and their perspectives on the routines and events that occur as they embark on a huge adventure that is primary school. Throughout the day we observe them organise their belongings, familiarising themselves with their classmates, forming bonds, exploring the school grounds, establishing rules and routines, learning new subjects, and reflecting on the busy day. Godwin makes learning fun with some funny mishaps like spilling juice, fiddling with a girl’s hair and losing a pencil case. Whilst Walker so beautifully ties in all the minute details with her watercolour and collage characters, school related belongings, food, furniture, real life pieces of work, toys and buildings. Starting School is a perfect representation of the importance of accepting others, getting along, individuality, responsibility and resilience. 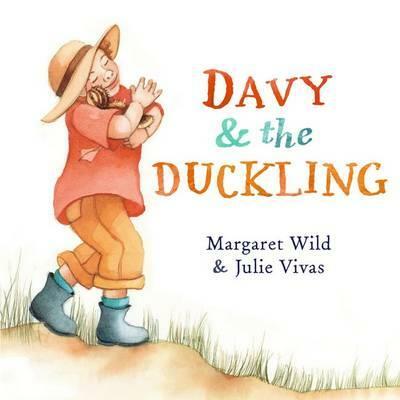 Another tale of best friends is Margaret Wild‘s Davy & the Duckling, with beautiful illustrations by Julie Vivas. When Davy meets the duckling, they look deep into each other’s eyes. Already smitten, the duckling follows Davy around the farmyard and all the way back home. Davy shows true adoration and cares for the duckling like a baby. We watch as they both grow, and we see not only companionship, but empathy, support, pride and encouragement as Davy achieves special milestones. In a touching moment, an old, achy duck seems to regain some youth when it hears that Davy is to become a father. And it is so sweet to observe a role reversal to complete the story, as the duck now leads baby Molly around the farmyard and all the way back home. A picture book may not be every dad’s ideal Fathers’ Day gift, especially if he is really counting on more socks and jocks. 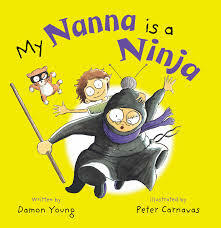 But think about it, what better vehicle than a picture book to share some real short but sweet moments of physical and emotional connection between a father and his offspring. Tossing a footy around together is cool too. Whipping up a Book Week costume is a definite contender (the male’s job in our realm). However, very little compares to a snuggly story-time session. It’s gorgeous to behold and enriching for the participants (granddaddies included). Concentrating on the littlies this time is Nicola Connelly’s and Annie White’s My Dad is a Bear. Charlie has something to share, his dad is a bear, or at least his dad displays the same traits as a bear: ‘he is tall and round like a bear’, he ‘has big paws like a bear’, and ‘he even sleeps like a bear’. In just twenty-eight pages, Charlie manages to describe what I’d wager is the vast majority of ‘typical fathers’. However, it is not just senseless physiological satire. 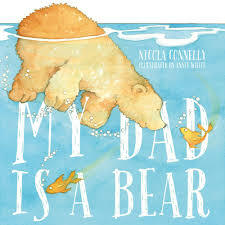 Connelly thoughtfully includes a few more active pursuits like fishing and climbing to enhance Charlie’s metaphoric revelations and thus broaden the typical father figure image. All are adeptly aided by the bearily beautiful illustrations of Annie White. Another bear book bowling off the New Frontier shelves is Peter Carnavas’s, Oliver and George. 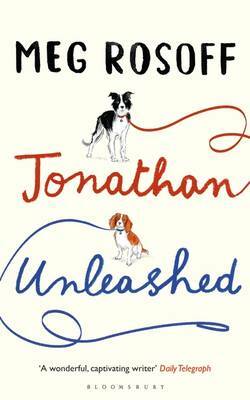 Like his previous picture book, Jonathan!, Oliver and George will find its mark with younger readers aged 2 – 6 years. 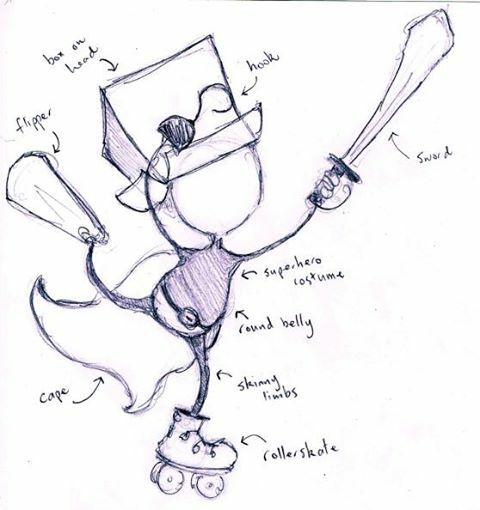 Oliver, a box-hat wearing, sk ydiving, sword-wielding young boy is ready to play. He has his playmate sights set firmly on George (represented be a glasses-toting brown bear). To Oliver’s dismay, George is too busy to play. He is engrossed in his book and no amount of cajoling or niggling by Oliver annoys him enough to turn away from it, not even a bowl of porridge tipped over his head! 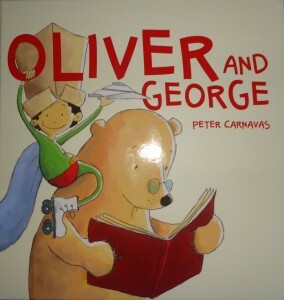 Oliver is crestfallen, but like all young children bent on their egocentric missions, he quickly recovers and tries again to gain George’s attention, this time resorting to the most arresting action he can think of to thwart George’s enjoyment of his book. 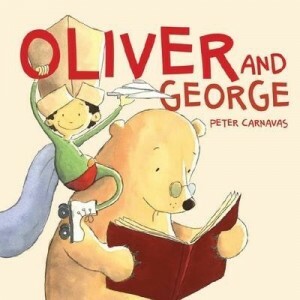 Although George and Oliver’s subtly implied father and son relationship may seem obvious, Carnavas’s anthropomorphic use of a teddy bearish ‘older other’ cleverly intimates many typical child / parent situations: parent, carer, or teacher. Oliver’s lament is familiar; his obsessive desire to be with George overrides all else, until he is finally rewarded with George’s attention then promptly forgets his former fever. This scenario of precious determination and contrariness is so typical of kids; it makes my heart dance. Carnavas never over complicates his tales, nor are they ever overtly visually overblown. 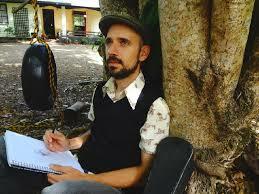 Yet they deliver maximum impact with a mere sprinkling of words and a few ingenious strokes of the brush. Oliver and George is no exception. It will be interesting watching how children react to this witty portrayal of themselves. Utterly beguiling and a subtle reminder for us bigger people to spend more ‘now’ time with our little people. 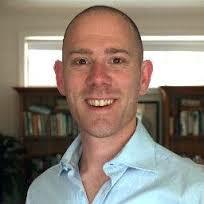 Due out September 2014.